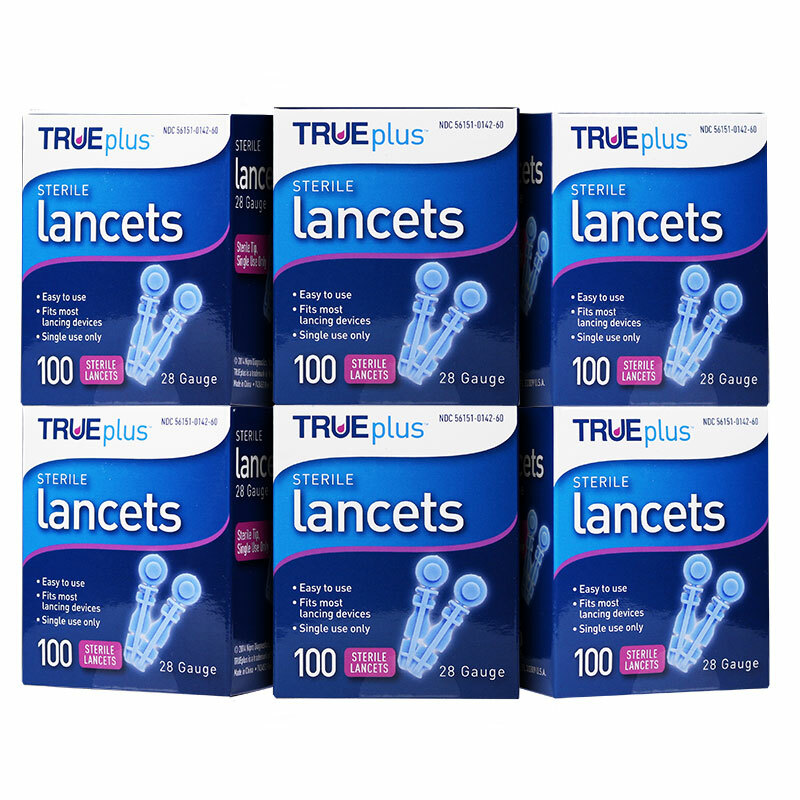 6 boxes of TRUEplus Sterile Lancets 28G Universal Twist Top 100/box. For your convenience, these TRUEplus single-use sterile lancets fit most lancing devices. For your comfort, these lancets deliver smooth skin penetration.